Our IDX plugin includes lots of SEO features (including tons of indexable listing content) to help improve your search engine ranking and boost your traffic, and our mapping IDX includes lots of lead capture features, but some agents need just a little an extra little push to get off the ground and start generating leads. For many agents, PPC is the answer. Short for “pay per click”, PPC advertising is when you pay a search engine for prominent placement of your website on their search results pages. With even a small budget, any online business can increase traffic with PPC – the trick is knowing how to convert your traffic into real leads you can pick up the phone and call. The IDX search pages of your website are already optimized for converting leads, so your real estate website is ideal for leveraging PPC advertising. 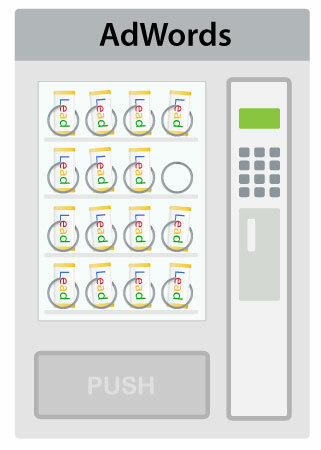 Pay per click allows you to advertise your website at or near the top of search results or other pages of a provider’s website. 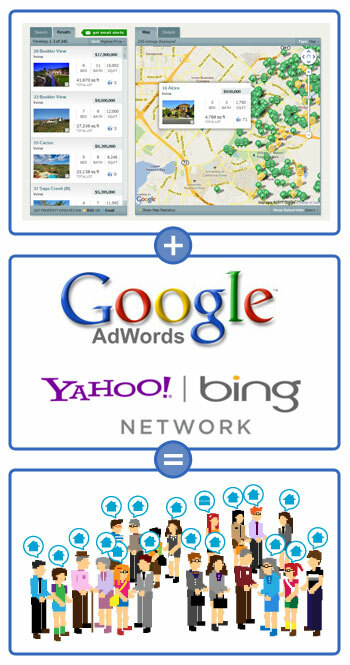 There are many providers to choose from, however Google AdWords; which manages ads shown in Google search, or Yahoo! Bing Network; which covers ads seen in both Bing (Microsoft) and Yahoo search, are the more well-known providers. Either of these options covers a broad audience and are great for beginners looking to promote their IDX and real estate website(s). Setting up an account with any of these services is pretty straight forward. Simply sign up as a new advertiser, add funding to the account (usually in the form of a credit card), then create a few ads and decide where you want your ads to appear. In most cases, you’ll simply create an ads that will appear whenever someone performs a search on Google (or Bing or Yahoo) related to your site. People are repeatedly searching online for certain terms. Consider how many people search for phrases like “Chicago real estate” or something similar every day. You can find out how popular a search term is by using the keyword tool available on Google Adwords. For example, when searching for the popularity of “Chicago real estate,” the results show there are 90,500 global monthly searches. Try several variations of the search term or phrase you want and then decide which version you think is mostly likely to attract home buyers, renters, condo buyers or whoever is your target audience . At that point, you’re ready to research the cost per click (CPC) that you will be charged each time someone clicks on your advertisement. Costs vary greatly depending on the search term or phrase, however the fees for the same terms are generally consistent between the major providers. Depending on the amount of competition you’re facing and keywords being used, the cost for one click on your PPC ads can range from a few cents to several dollars per click. Broader terms (like “chicago real estate”) will cost more than more specific terms (like “chicago gold coast condo rentals”), so targeting for more specific neighborhoods, property types or a combination of both can help keep your CPC down and keep charges from adding up too quickly. PPC providers like Google Adwords have pretty flexible budgeting options to ensure you don’t exceed more than you want to pay on any given day or during a campaign period. Once you know your CPC rate, you can determine how many clicks on your PPC ad you can afford to pay for on a daily, weekly and monthly basis, then set the parameters to your campaign accordingly. As an example, if the terms you’ve chosen cost an average of $1 per click and you’re hoping to get 100 clicks per month to your real estate site, you’d be looking at spending $100 per month on PPC – a daily budget of $3.30. The ability to set a definitive monthly spend is a major benefit for Realtors working with limited budgets or otherwise looking to experiment with paid advertising for their real estate website. With PPC ads, you’re only paying for the people who actually click on your ad and view your website. There’s no guarantee that the clicks on your PPC ad will equate to more sales, but linking to the IDX pages on your site can help ensure more of your PPC traffic converts into leads. Visitors who come to your website via a PPC ad (or organic searching) primarily want to see homes, so it’s important to show them listings related to their search terms front and center. Use either our mapping IDX or WordPress IDX products to create custom property search pages or widgets with pre-filtered results, then build your PPC campaigns tailored for these pages. 1) It shows visitors homes they are interested in with a very clear, data-focused format. 2) Your page content is a big factor Google uses in calculating your quality score, which ultimately determines your cost per click. Linking to pages with content related to your search terms can reduce your PPC costs over time, and since all the IDX content generated by our plugins is fully indexable, Google and Bing will see that your page is directly related to the search terms you are advertising for. If you are using our Mapping IDX, you can create a custom search link and frame it on a page your website, or otherwise add property search widgets to your page. In either case, it’s best to create a custom page on your site (such as: homesarecool.com/irvine-home-search.htm) to link your PPC ads to vs. simply linking to your homepage or a general IDX search page. As mentioned above, Google will review the title, URL, headings and other content on your page to determine how well your content matches a given search term. The more you can tailor your page(s) to match the terms you are paying for, the lower you CPC will be. With either product, be sure to optimize your IDX registration settings to be sure your users will register on your search page and become a real lead. Just let users perform a few searches (or even view a few homes) then force them to sign up. Forcing registration on your users may seem counterintuitive, but it’s a proven method for generating leads with any real estate website. For some real estate agents, PPC is used only to jump start traffic to a new website till they can start ranking in the regular “organic” results insearch engines – for others, PPC is a regular expense that’s included in their ongoing marketing budget every year. Either way, PPC advertising is scalable for any budget and for any period of time, and combined with IDX, it’s ideal for real estate websites to generate and convert new traffic. Sending targeted PPC ads with IDX data puts the power in your hands to attract the exact clientele you’re seeking as you work to grow your business. Simply launch a PPC ad campaign with your desired keywords or phrases and link it to a landing page with the pre-filtered IDX data to start connecting a larger audience to homes they want. Hey Robert – Was wondering if I could pick your brain for 5 minutes regarding PPC? Could jump on a G+ Hangout… Thanks! Hi Jeff. Robert is currently on vacation until mid-May. If you would like to provide me with your email address, I’ll make sure to pass along the message so that he can reply to you upon his return. Hope you’re having a great day! Thanks, Jeff! Robert will get back to you once he returns.